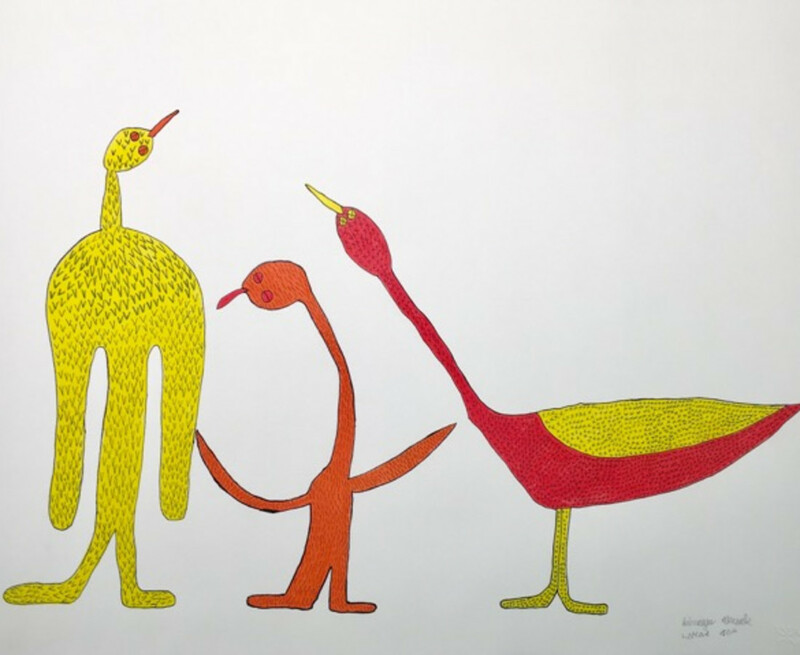 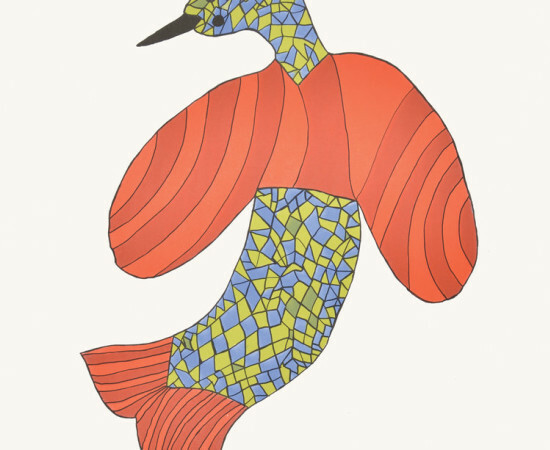 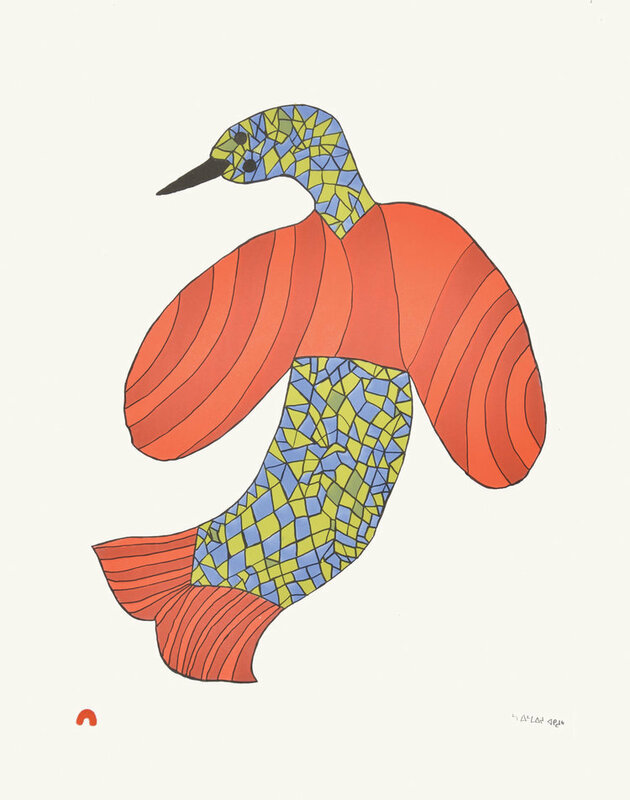 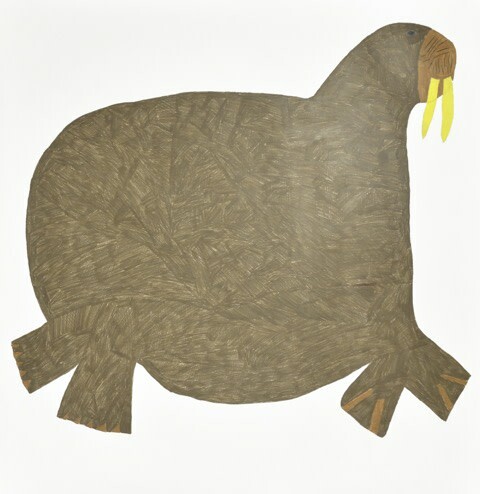 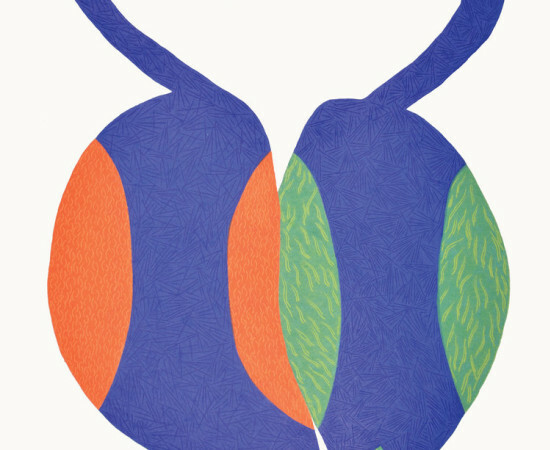 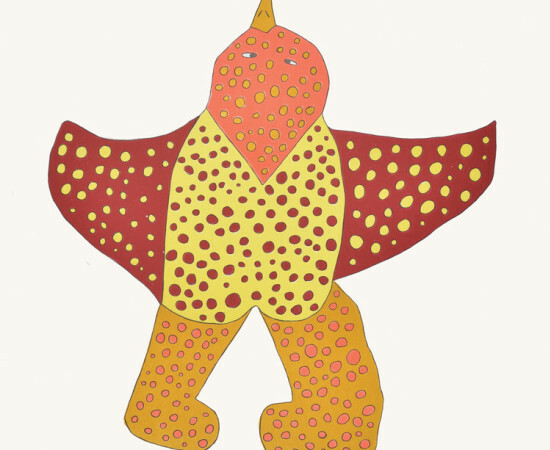 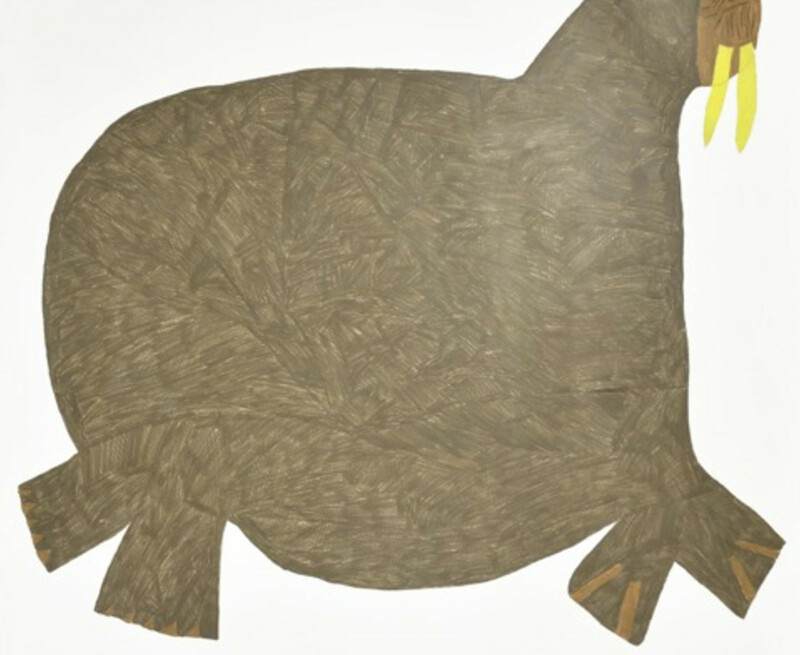 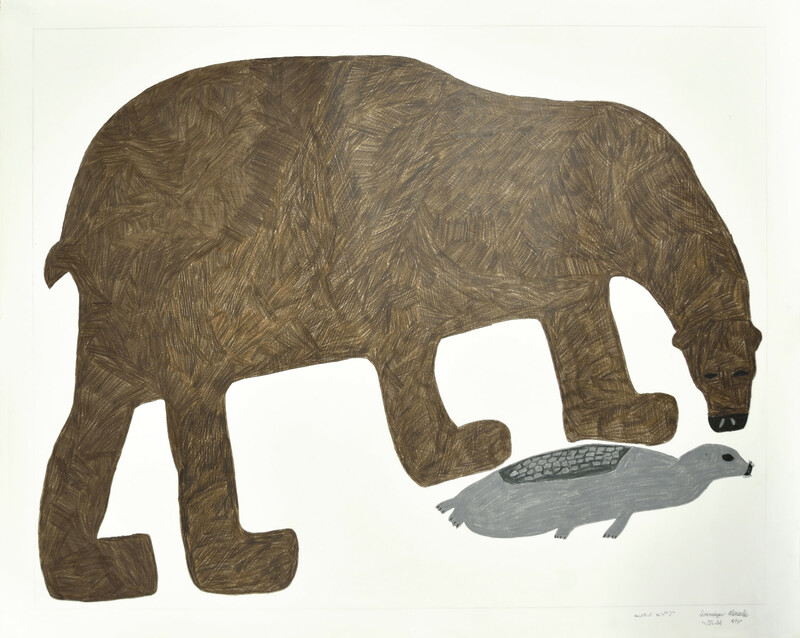 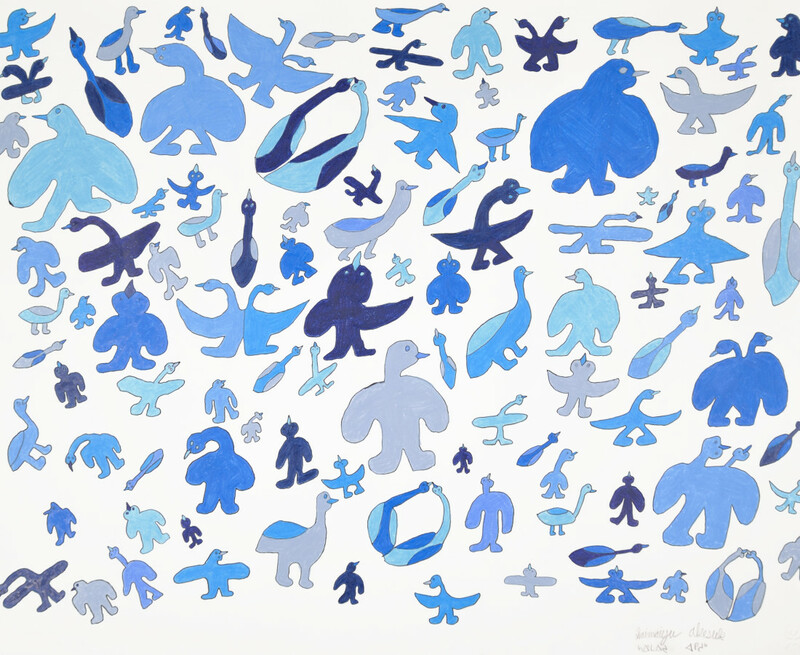 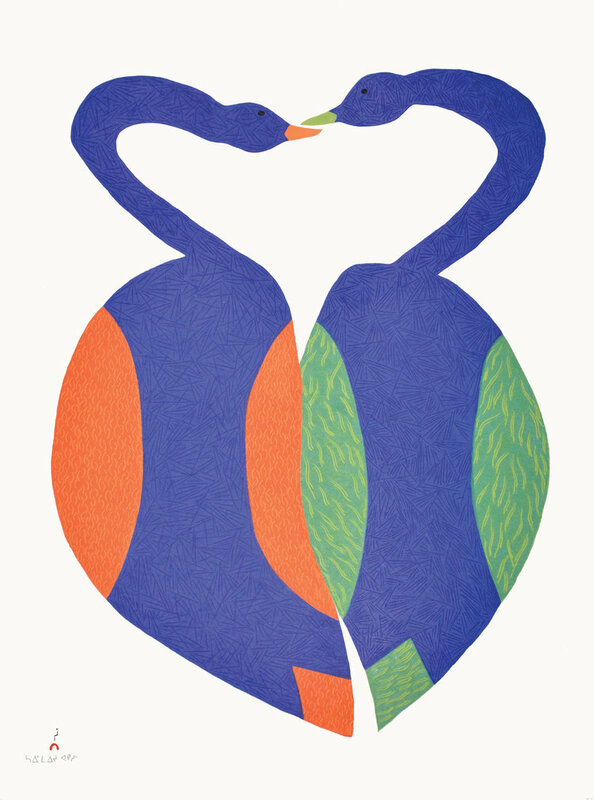 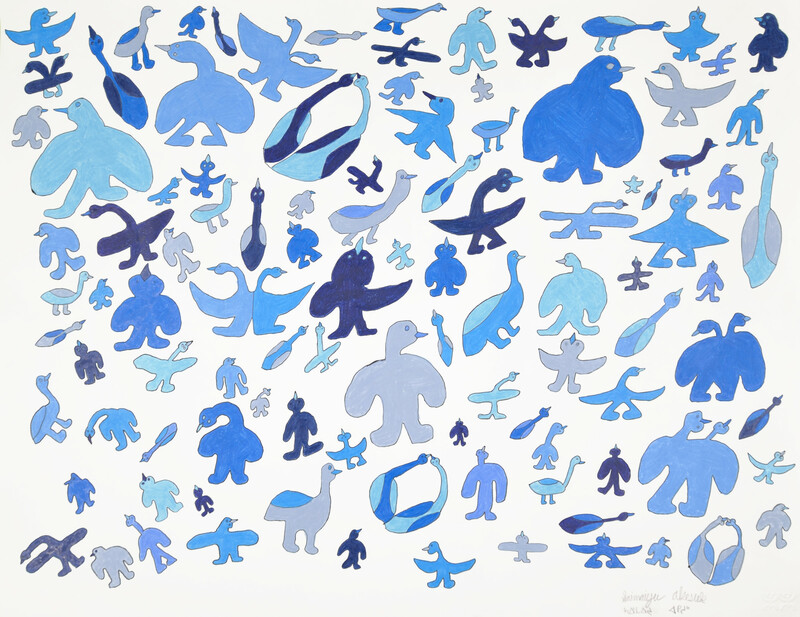 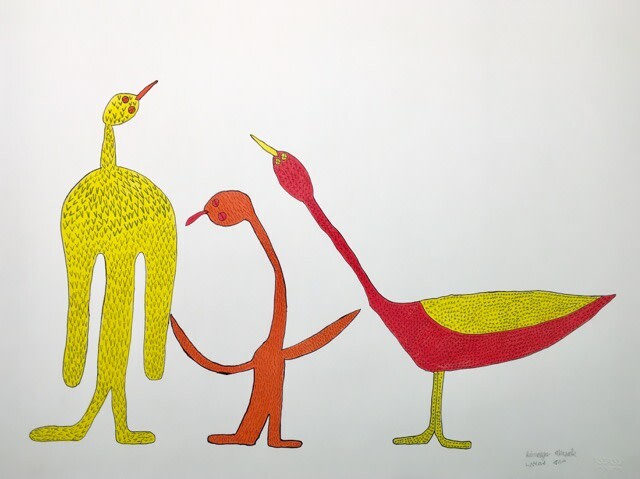 Saimaiyu Akesuk’s solid, stylized drawings and prints depict the animals and birds that share her portion of the world, in Kinngait/Cape Dorset. 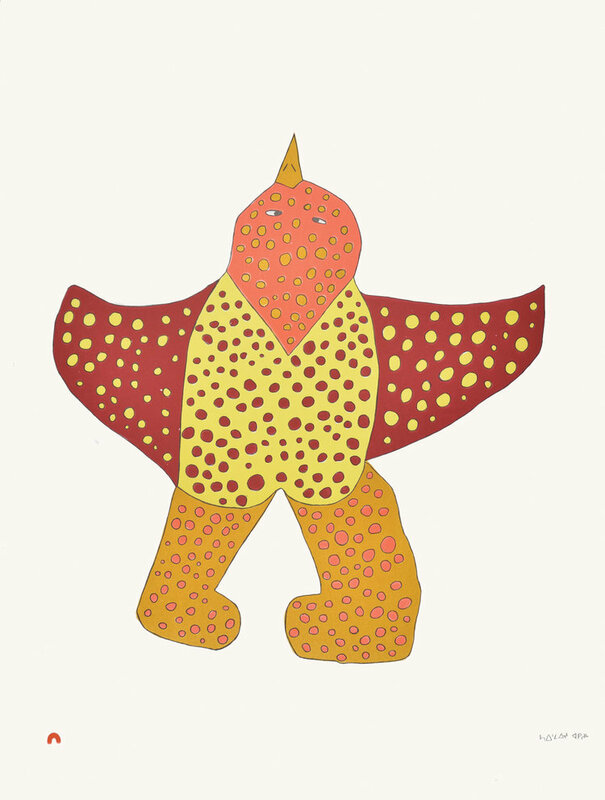 Feathers and fur are expanses for exploration of pattern and markmaking. 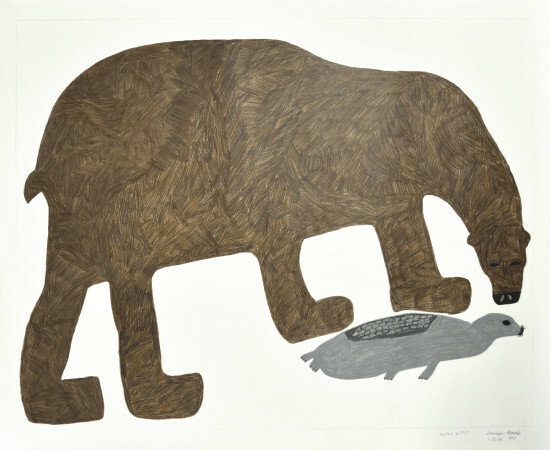 These images provide some insight into traditional and contemporary life in the Arctic, the place these creatures occupy, and the fascination that they continue to hold.